In some cases it took four or five decades to bring them to justice. 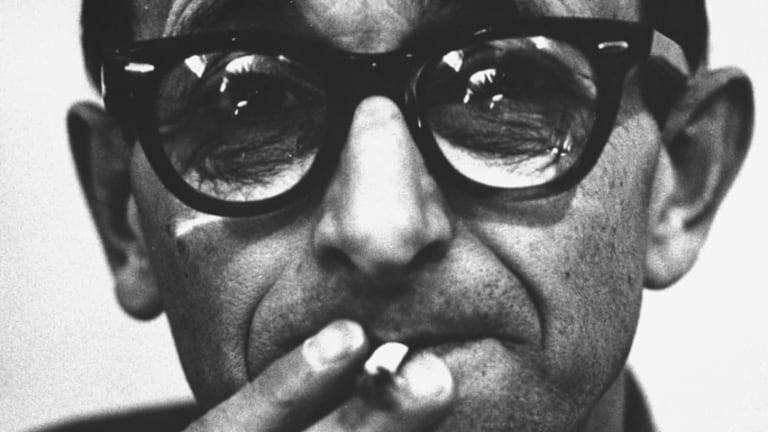 HOW HE WAS BROUGHT TO JUSTICE: Israeli Mossad agents captured Eichmann in a daring operation on May 11, 1960, then snuck him out of the country by doping and disguising him as an El Al flight crew member. In Israel, Eichmann stood trial as a war criminal responsible for deporting Jews to death and concentration camps. He was found guilty after a four-month trial in Jerusalem and received the only death sentence ever issued by an Israeli court. He was hanged on May 31, 1962. WHAT HE’S INFAMOUS FOR: Second only to Eichmann as a target of Nazi hunters, the doctor nicknamed the “Angel of Death” conducted macabre experiments among the prisoners at the Auschwitz death camp. An SS officer, Mengele was sent at the start of World War II to the eastern front to repel the Soviets and received an Iron Cross for his bravery and service. After being wounded and declared unfit for active duty, he was assigned to the Auschwitz death camp. There, he used the prisoners—particularly twins, pregnant women and the disabled—as human guinea pigs. Mengele even tortured and killed children with his medical experiments. 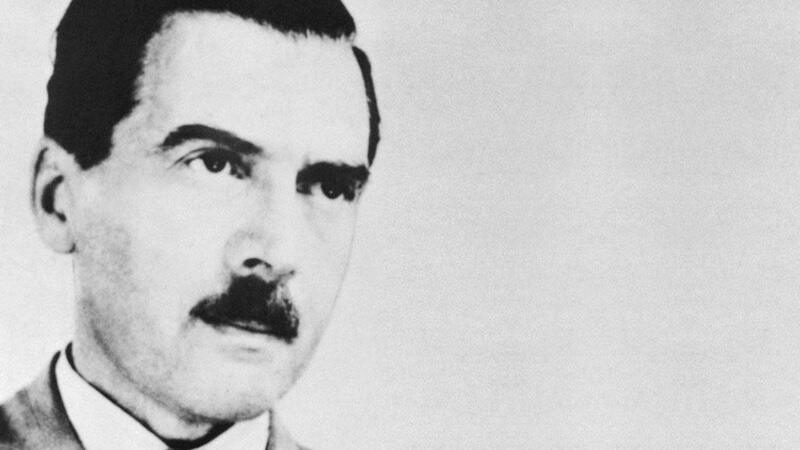 HIS PATH TO SOUTH AMERICA: After World War II, Mengele spent three-plus years in hiding in Germany. In 1949, with the help of a Catholic clergy member, the “Angel of Death” fled via Italy to Argentina where he owned a mechanical equipment shop and remarried under his own name in Uruguay in 1958. The doctor lived in various Buenos Aires suburbs, but after hearing of Eichmann’s capture, went underground, first in Paraguay, then in Brazil. 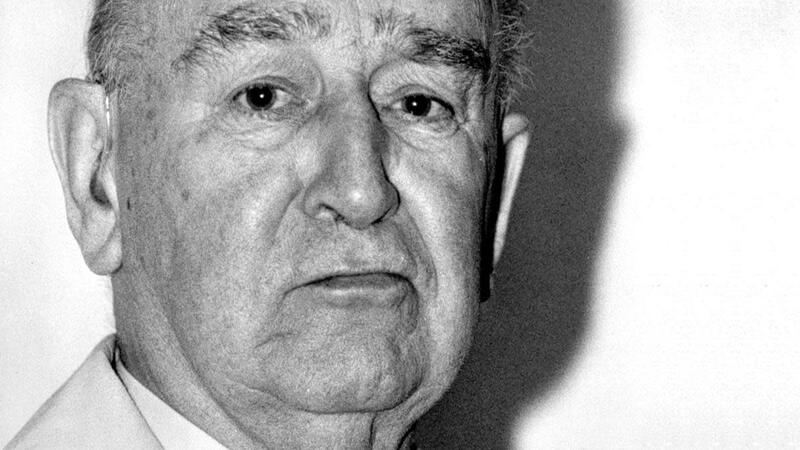 HOW HE ELUDED JUSTICE: West Germany had sent an extradition request to Argentina, which dragged its feet, claiming a review was necessary because the doctor’s crimes had been “political.” Nazi hunters pursued him for decades, but Mengele ultimately drowned off the Brazilian coast in 1979, felled by a stroke. Because he had operated under an assumed name in Brazil, his death wasn’t verified until his remains were forensically tested in 1985. WHAT HE’S INFAMOUS FOR: An SS colonel, Rauff was instrumental in the construction and implementation of the mobile gas chambers responsible for killing an estimated 100,000 people during World War II. According to the United Kingdom’s MI5 intelligence agency, Rauff oversaw the modifications of trucks that diverted their exhaust fumes into airtight chambers in the back of vehicles capable of carrying as many as 60 people. The trucks were driven to burial sites, and along the way victims would be poisoned and/or asphyxiated from the carbon monoxide. After persecuting Jews in Vichy France-controlled Tunisia during 1942 and 1943, Rauff oversaw Gestapo operations in northwest Italy. There, as in Tunisia, Rauff gained a “reputation for utter ruthlessness,” infamous for the indiscriminate execution of both Jews and local partisans. HIS PATH TO SOUTH AMERICA: Allied troops arrested Rauff at the end of the war. He escaped from an American POW camp and hid in Italian convents. 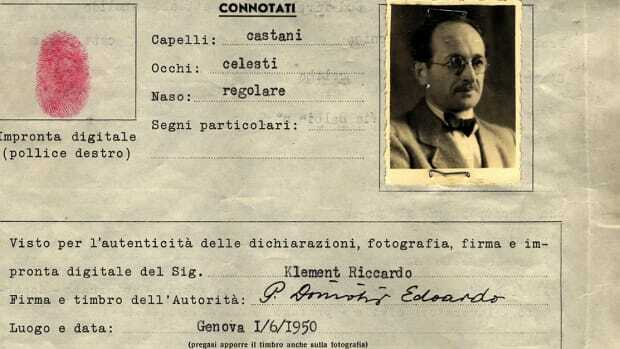 After serving as a military adviser to the president of Syria in 1948, he fled back to Italy and escaped to Ecuador in 1949 before settling in Chile where he lived under his own name. WHAT HE’S INFAMOUS FOR: Nicknamed the “White Death” for his proclivity to wear a white uniform and carry a whip, the Austrian-born Stangl worked on the Aktion T-4 euthanasia program under which the Nazis killed those with mental and physical disabilities. He later served as the commandant of the Sobibor and Treblinka death camps in German-occupied Poland. More than 100,000 Jews are believed to have been murdered during his tenure at Sobibor before he moved to Treblinka, where he was directly responsible for the Nazis’ second-deadliest camp where 900,000 were killed. 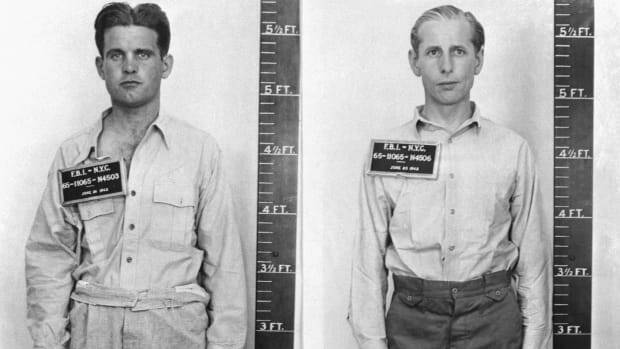 HIS PATH TO SOUTH AMERICA: After the end of the war, Stangl was captured by the Americans but escaped to Italy from an Austrian prison camp in 1947. Assisted by the Nazi-sympathizing Austrian bishop Alois Hudal, Stangl traveled to Syria on a Red Cross passport before sailing to Brazil in 1951. HOW HE WAS CAPTURED: He was employed by Volkswagen in São Paulo under his own name when he was arrested in 1967 after being tracked down by Simon Wiesenthal, a Holocaust survivor and well-known Nazi hunter. 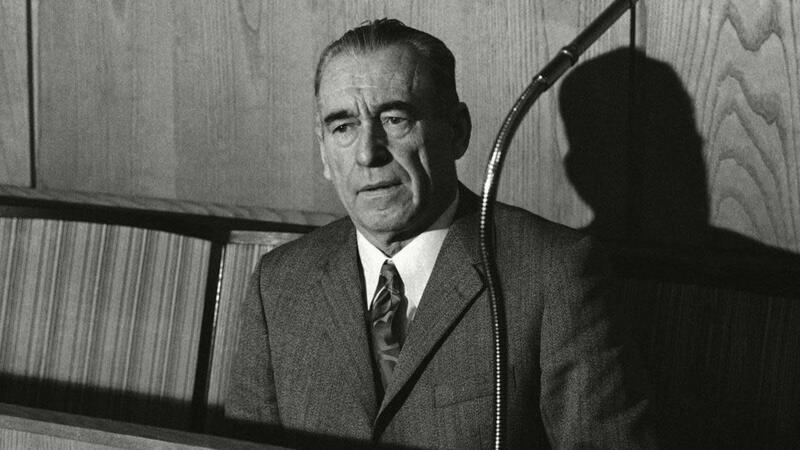 Extradited to West Germany, Stangl was tried and found guilty of the mass murder of 900,000 people. 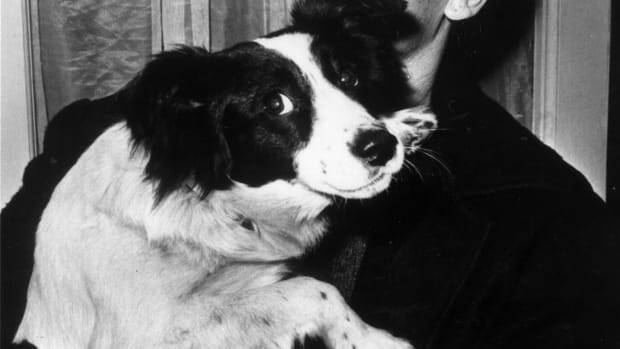 Sentenced to life imprisonment, he died of heart failure in 1971. 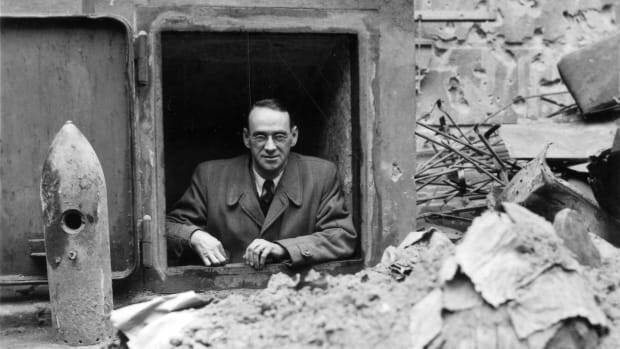 WHAT HE’S INFAMOUS FOR: An Austrian Nazi, Schwammberger was an SS commandant in charge of three labor camps in the Jewish ghettoes of Nazi-occupied Poland during World War II. Brandishing a horsewhip and a German Shepherd trained to attack people, he arrived in 1942 at the Rozwadów forced-labor camp, where prisoners died by the hundreds, many shot by Schwammberger himself. In 1943, he organized the mass execution of 500 Jewish prisoners at the Przemyśl camp. He personally executed 35 people at Przemyśl, shooting them in the back of the neck, and dispatched Jews to the Auschwitz death camp. In Mielec in 1944, he cleansed the city of Jews. 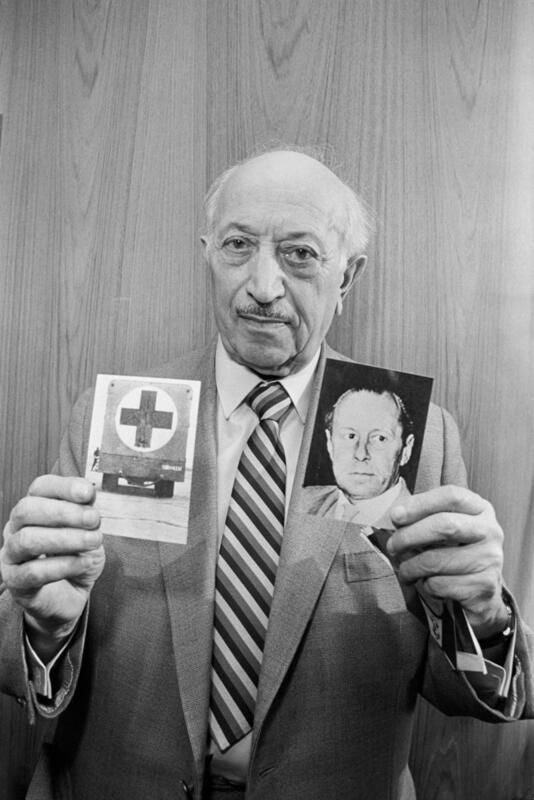 “His path was littered with corpses,” said the Nazi hunter Simon Wiesenthal. HIS PATH TO SOUTH AMERICA: Arrested in Austria in 1945, Schwammberger escaped to Italy in 1948 and months later arrived in Argentina, where he lived openly under his own name and obtained citizenship. 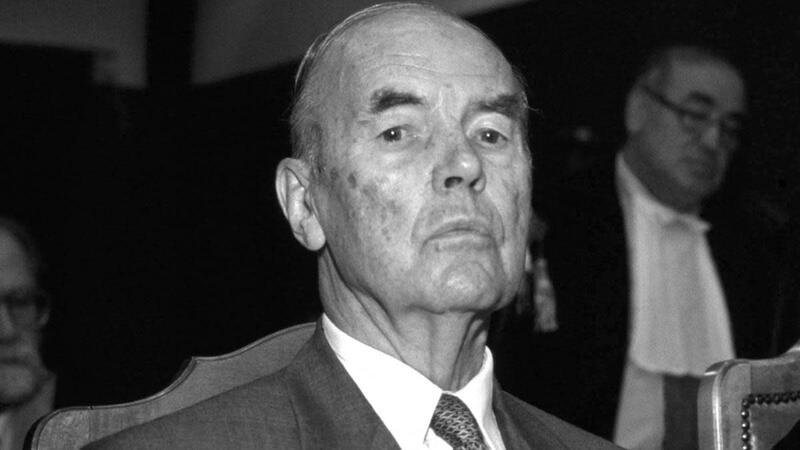 Schwammberger went into hiding but was eventually arrested by Argentine officials in 1987 after an informant responded to the German government’s $300,000 reward. He returned to West Germany in 1990 to stand trial. Witnesses at the trial said they had seen Schwammberger throw prisoners onto bonfires, kill Jews kneeling beside mass graves and slam children’s heads against walls “because he didn’t want to waste a bullet on them.” In 1992, he was found guilty of seven counts of murder and 32 cases of accessory to murder and sentenced to life imprisonment. Schwammberger died in prison in 2004 at the age of 92. WHAT HE’S INFAMOUS FOR: A mid-level SS commander and member of the Gestapo, Priebke participated in the 1944 Ardeatine Caves massacre in Rome in which the Nazis slaughtered 335 people in retaliation for the killing of 33 German SS members by Italian partisans. Priebke admitted killing two of the Italians, but claimed he was only following orders. Priebke also signed off on the transport of 2,000 Roman Jews to Auschwitz and served as the Nazi go-between with the Vatican. HIS PATH TO SOUTH AMERICA: Priebke escaped from a British prisoner of war camp on New Year’s Eve in 1946 by cutting through barbed wire while his guards were drunk. With the help of Bishop Alois Hudal, Priebke fled to Argentina on a falsified Red Cross passport in 1948. He settled in the idyllic mountain town of San Carlos de Bariloche in the Patagonia region, where he operated at a Viennese deli and worked at a German school, living under his own name. HOW HE WAS CAPTURED: In 1994, Priebke’s past was revealed to the world after an ambush interview by ABC newsman Sam Donaldson. 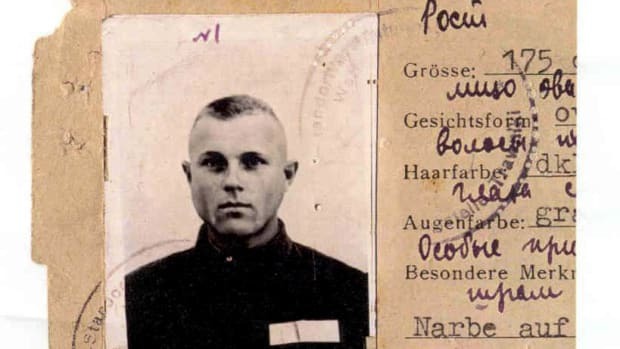 As a result of the uproar following the interview, Priebke was extradited to Italy where he was convicted of war crimes and sentenced to life imprisonment, to be served under house arrest. Priebke died in 2013 at the age of 100. His funeral resulted in a clash between fascist and anti-fascist protestors, and he was buried in a secret location after Argentina refused to have him interred on its soil. WHAT HE’S INFAMOUS FOR: A lawyer and SS officer, Bohne headed the Third Reich’s Work Group of Sanatoriums and Nursing Homes and was responsible for the administrative logistics of Hitler’s Aktion T-4 euthanasia program. Claiming to be a “mercy killer,” Bohne was instead among the leaders who carried out a systemic extermination in order to purify the Aryan race and avoid state expenditures on those with mental and physical disabilities. All told, the program killed some 200,000 Germans with incurable diseases, mental illnesses and other handicaps. The victims were led to gas chambers in the institutions and then cremated. 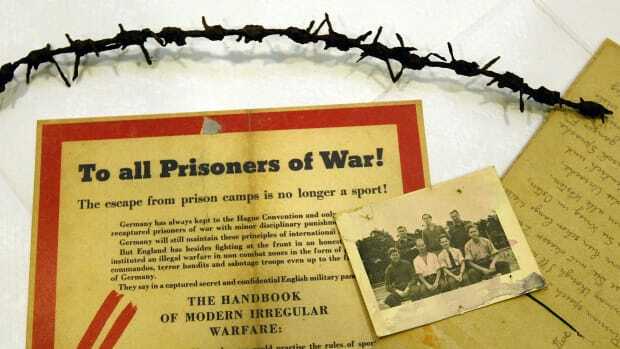 The program served as a trial run for the mass extermination camps later operated by the SS. Bohne was thrown out of the Nazi Party after submitting a report accusing his agency of fraud and corruption. 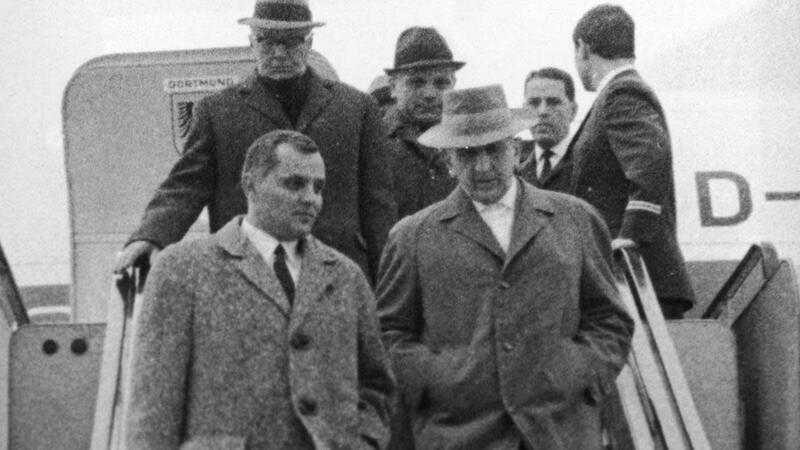 HOW HE WAS CAPTURED: After a coup deposed Perón, Bohne returned to Germany and was indicted by a court in Frankfurt in 1963. Released on bail, Bohne once again fled to Argentina from where he was finally extradited three years later as the first Nazi criminal surrendered by Argentina. Declared unfit to stand trial, Bohne survived another 15 years before his death in 1981. Tune in to the season premiere of Hunting Hitler, Tues Jan 2 at 10/9c on HISTORY.